MyBet Poker was reviewed by gambleNEXT.com and earned a 8/10 rating. MyBet Poker operates on the Playtech software, offering a good variety of poker games and liquidity at the tables from the iPoker network. MyBet Poker is available in both downloadable version (software installation on PC) and browser version (play from your web browser, no download required). There are over $16 million in guaranteed tournaments each month, and finding the right poker game regardless you are a beginner or professional is easy. MyBet.com Poker holds monthly tournaments as qualifiers for different live poker events, like WSOP, CPT, Irish Festival and so on. With events all around the world, players will find here a great way to win their package starting with very low buy-ins. The players will also enjoy a reward program here, where points earned while playing cash poker can be exchanged for different bonuses. When you register your MyBet Poker account, you will be asked if you have a promotional code. Check below our latest Mybet Poker partner code to use and get your maximum bonus. The MyBet Poker bonus is offered as a release restricted bonus up to a total of $1000 on your first deposit. Register with Mybet Poker and enjoy a great bonus to be used on a multitude of poker games. The 200% bonus match is to be offered based on the currency you choose on opening your MyBet.com Poker account. MyBet Poker has no mobile version at the moment. 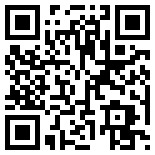 To check online poker with mobile version visit m.gambleNEXT.com from your mobile device or scan the QR code to the right. Check below what other users have to say about MyBet Poker or write your own review if you have used Mybet Poker.